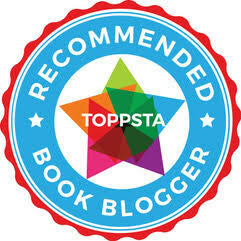 The minute Charlotte saw that a new book by Sophy Henn had arrived, she was over the moon. Sophy always writes lovely messages on a postcard (and we always pin them up on our zap board in the 'office') and we couldn't wait to dig in and find out all about her newest character. Pom Pom the Panda stares out from the cover of Sophy's book, looking for all the world like he's at the start of the worst day ever! Surly, grumpy, tetchy. Pom Pom gets out of bed the wrong side one morning, and things slide downhill from there. Poor Pom Pom has a tough time at breakfast, and as for getting his hair 'just so' - forget it! Things don't get any better at Animal Nursery either. Nothing that Pom Pom's friends suggest to try and cheer him up works, and soon Pom Pom finds that being a grump can actually mean that no one wants to be around you. Is there something, anything that can bring the little fellah around? Maybe those friends might be able to help after all! Like "Where Bear", which we absolutely adored, Sophy has a real talent for bringing her adorable animal characters to life with delightful humour and depth. Pom Pom might be a panda bear with a sore head, but we absolutely loved his story! 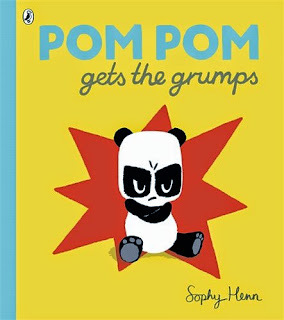 "Pom Pom Gets The Grumps" is out today from Picture Puffin.